An outstanding selection out of the Chico Research program. 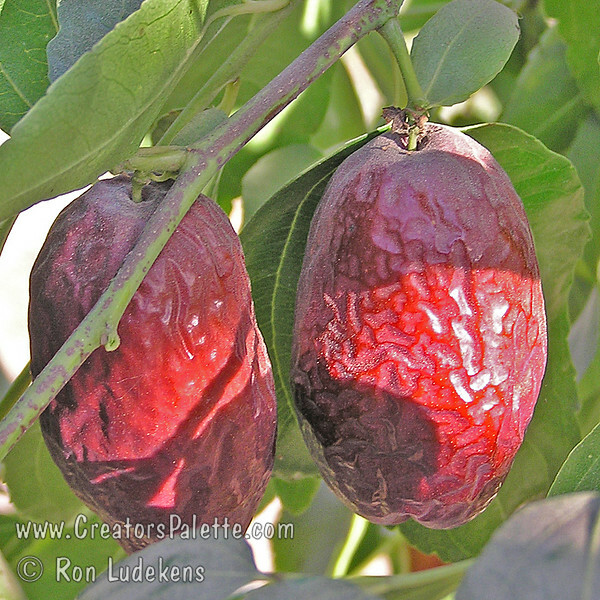 It has large, elongated fruit. Fruit is noteworthy for its remarkably high sugar content. Sweet apple flavor. When candied and dried, resembles dates. Good in hot desert regions. Attractive shiny leaves. Ripens: Fall, mid-season, close to Lang. Drought tolerant. 150 hours chilling.